MotoGP rider Sylvain Guintoli has given Yamaha Italia WSB bosses some food for thought after seriously impressing in a one day test at Vallelunga on Monday. 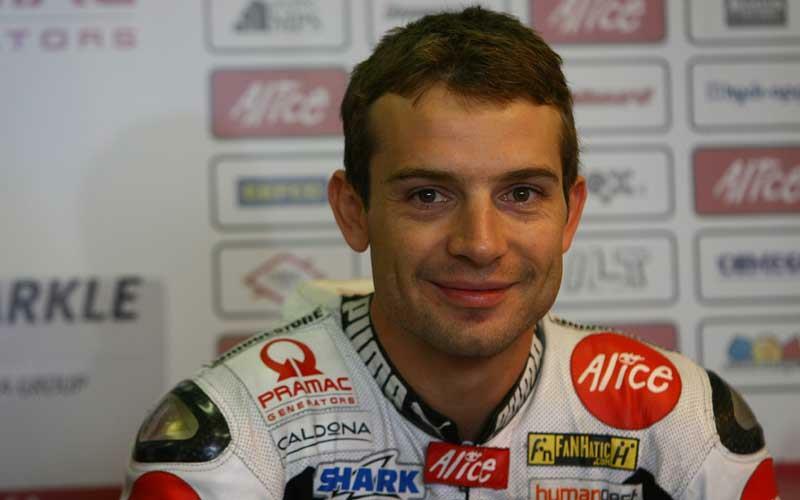 The Frenchman currently rides for the Alice Ducati squad in MotoGP but with no contract for next year is perusing options in both WSB and BSB for 2009. Yamaha Italia currently only have Britons Tom Sykes signed for next year following Noriyuki Haga’s switch to Xerox Ducati and Troy Corser’s expected departure to BMW, meaning that there is still one ride available. Guintoli got his first taste of the factory Yamaha Superbike and Pirelli tyres in Italy, completing a massive 100 laps around the 2.55 mile Rome circuit. During the day he made comprehensive changes to the bikes and was also charged with testing different settings to evaluate his level of feedback. “I’m very happy with how the test went. I thought it was going to be very difficult to adapt to a new bike, tyres and circuit in just one day, but I had a lot of fun. It’s very different to my MotoGP bike, but I was able to learn how to use the package and by the end my pace was good. In Sunday’s two WSB races current Yamaha Italia rider Noriyuki Haga dominated proceedings with two wins, meaning that Guintoli had a very high level to attain if he wanted to impress the team. Despite his lack of time he showed that he had the pace to run at the front of WSB. Yamaha Italia were rumoured to be favouring American Ben Spies to join the team in 2009, but Guintoli’s immediate pace could now affect their decision making process on next years rider line-up. A decision is expected soon.